Looking for some extra privacy during your stay in London? 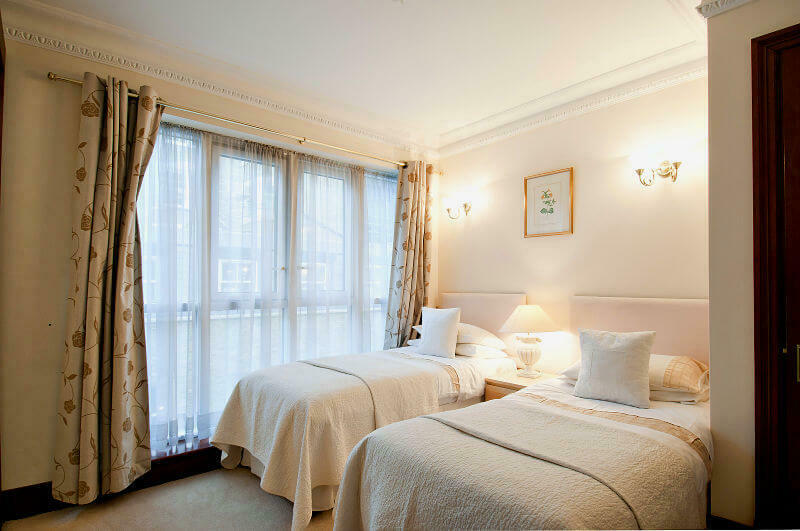 Carlton Court’s beautifully furnished serviced apartments is your ideal choice. Whether you are travelling solo or with family, our apartments guarantee to take care of your every need. Owing to our ease of booking and impeccable customer service, our flats are highly-preferred by all. Staying at our boutique serviced apartment, you will be able to enjoy numerous benefits. Take a look at few of the services and amenities that we offer. We can offer you approximately 30% more space than hotels to live, relax and work. By renting our apartment, you will be able to use the entire flat as your own. Irrespective of whether you choose our penthouse, one bedroom, two bedroom or three bedroom apartment, you will find separate space for living, sleeping and dining. Hotels will not provide you with the opportunity of cooking your own meals. But, we do. Our serviced apartments in London, UK come with fully-integrated kitchen complete with state-of-the-art appliances. If you love cooking or travelling with kids, you have the complete liberty to prepare your own meal. At Carlton Court, we have beautiful serviced apartments for you to stay in that are equipped with LCD TV showing more than 2,000 channels. If watching television is not your ideal way to spend lazy evenings, we have high-speed Wi-Fi, music system and more. If you choose to stay with us, you can be rest assured that you will not get bored throughout the duration of your stay. We take the comfort and convenience of your guests very seriously. This is why, we take the responsibility of providing you with healthy, nutritious and delicious breakfast spread every day of your stay. From juices to coffee and tea, cereals to bread and fruits to eggs, our sumptuous breakfast will help you get all the energy for the whole day. Why stay cramped in a tiny hotel room when you can live with us? Call us, today!